Visual Web Ripper is an automated web scraping, web harvesting, and content extraction software. Its features include recurring form submissions, dynamic website and undetected data extraction, command-line processing, and more. In this article, we cover its pricing information. Ready to try Visual Web Ripper? Get a free trial. As of the date this article was written (01/11/19), there are no user reviews of Visual Web Ripper online. If you are a past or current Visual Web Ripper customer, leave a review to help other business owners who are deciding whether or not to use the software. Visual Web Ripper offers four licensing options: Single User License ($349), 2-Seat License ($558), 5-Seat License ($1,395), and 10-Seat License ($2,090). Maintenance services and customer support are free for the first 6 months but must be renewed to continue receiving software updates. Additional users cost $279/user for 2-5 users and $209/user for 5+ users. Annual Maintenance and Support renewal rates vary between 40 to 60% of the software’s price. It depends on whether it was renewed a month before expiry, less than 6 months after expiry, or after it’s been expired for over 6 months. Ready to try Visual Web Ripper? Get a free trial. What types of data can Visual Web Ripper extract from a website? Visual Web Ripper can extract text, links, images, files, meta tags, tag attributes, screenshots of web pages and elements, and more. What causes a license termination? Licenses are terminated when any of the terms and conditions are violated such as the use of one license for multiple computers. The removal of the entire software and all its documentation from the registered computer will also result in license termination. 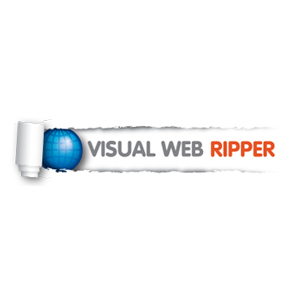 Not sure if Visual Web Ripper is the right fit for you? Read our reviews of all top data extraction software providers.